I finished up a new design last night. 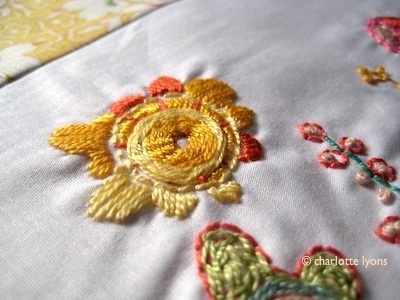 After spending the day purging the studio of clutter, I rewarded myself with an hour of stitch play. A bundle of cotton swatches (too pretty to give up) made a colorful patchwork border. I'm a little in love. The sun's out. It's a spectacular summer day! I'm going to take a walk to town.